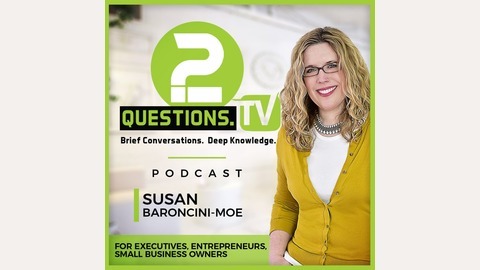 2Questions.TV is a show for executives, small business owners, and entrepreneurs, focusing on helping viewers to live a better life, through business and career success, personal development, and health and wellness. 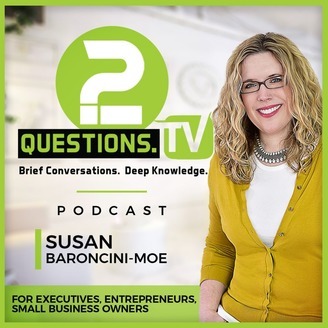 Host Susan Baroncini-Moe interviews bestselling authors, subject matter experts, and successful entrepreneurs and business owners, asking just two questions.The show airs daily, M-F, on YouTube, as well as in podcast form. Shows are typically 13-15 minutes, occasionally shorter or longer, if the guest gets on a roll. Want to watch the show instead of listen? Visit http://2Questions.TV for all of our episodes! Susan and Kyle talk about defining ourselves and impression management.